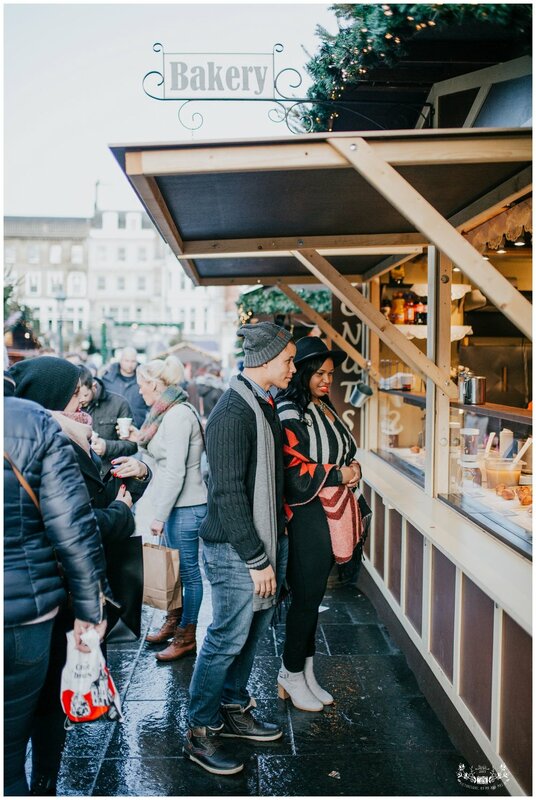 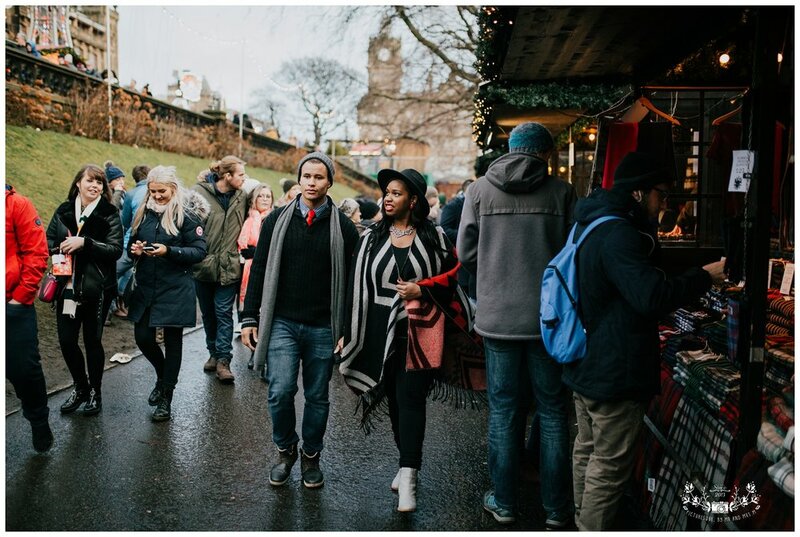 We love the Edinburgh Christmas Market. 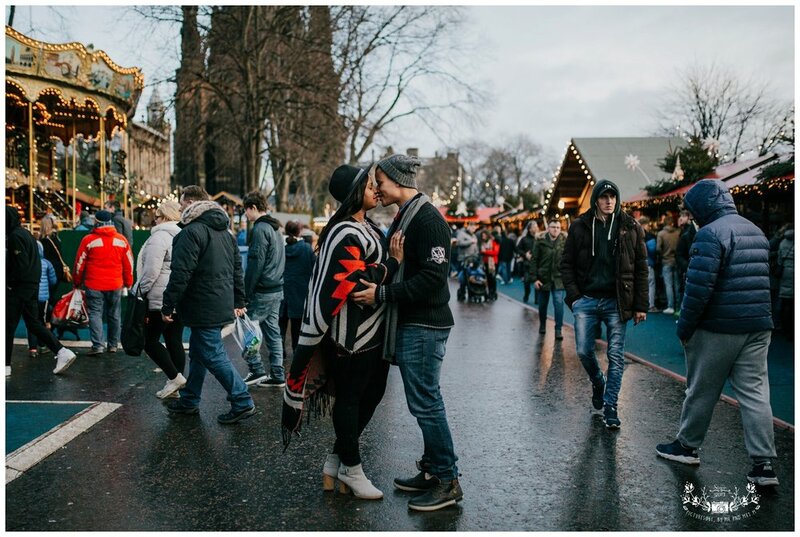 Every year we take the kids and it's always a lovely day out, getting us in the festive spirit. 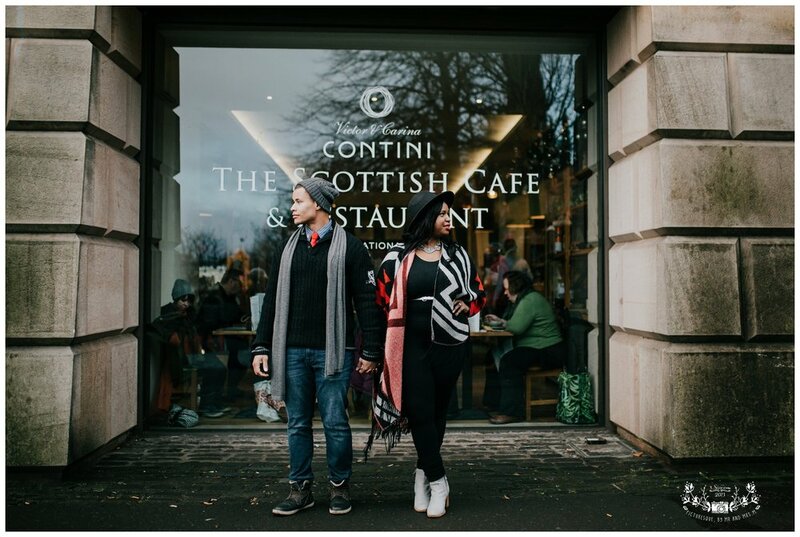 When Doshie and Curtis arranged a couples shoot with us as they were visiting Edinburgh for a few days before heading off to spend Christmas in Paris, we knew this was exactly where we wanted to take them. 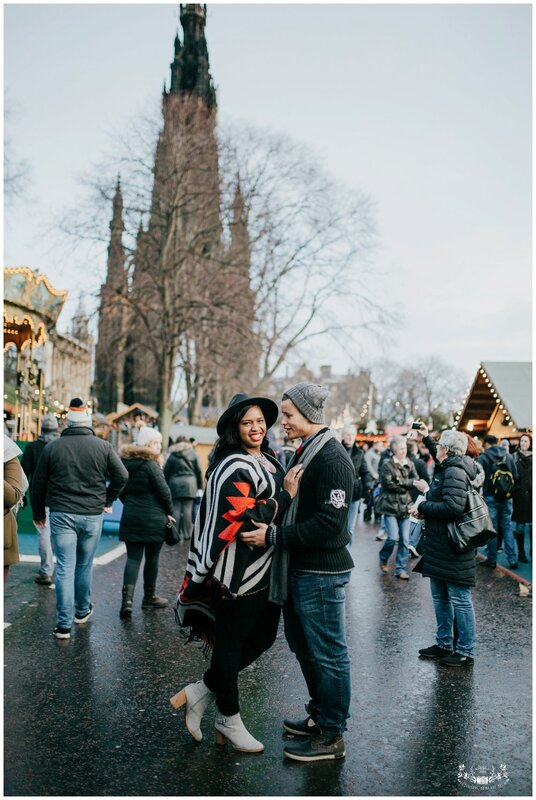 Doshie and Curtis are from Houston, Texas but currently living in Germany. 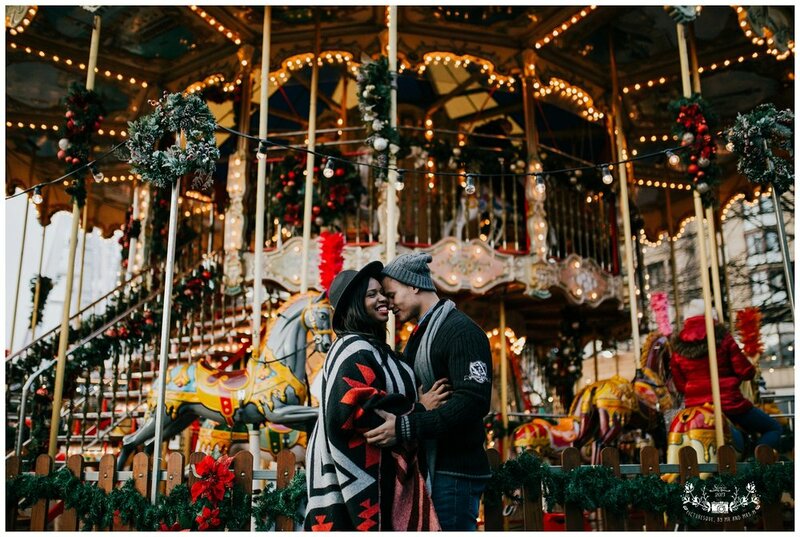 They love to travel and we had such a great time with them shooting their portraits. 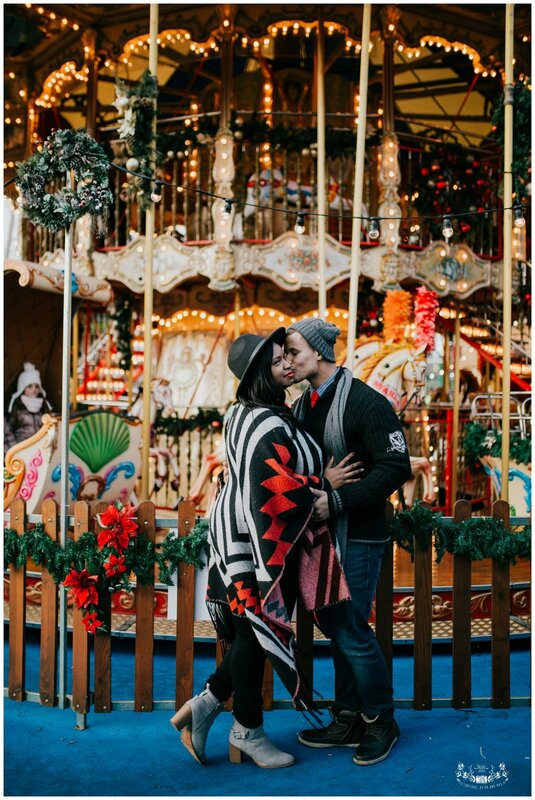 Doshie is also a photographer so we gave them minimal direction and they were fantastic.